Anyone who has seen the movie “Sideways” can attest to Myles, the lead character’s love for Pinot Noir. Well what’s not to love? Here are a few tidbits that shine a light on this fickle, delicate and difficult grape. Pinot Noir dates back 2000 years to Roman times. It predates Cabernet Sauvignon by over 1000 years! Currently, it ranks as the 10th most planted grape varietal in the world with France in the lead and the USA a close second for most acres planted. French for Black Pinecone, Pinot Noir’s moniker reflects its dark color and shape of the grape cluster. Interestingly, Pinot Noir shares the same DNA with Pinot Gris/Grigio and Pinot Blanc apart from a few color mutations. A thin skinned grape prone to disease, rot and frost bite, Pinot Noir earns its fickle reputation. It grows best in a cool damp climate near protected valleys and large bodies of water. Difficult to ripen and easily damaged, this grape can give vintners a run for their money. Oh, but the outcome! 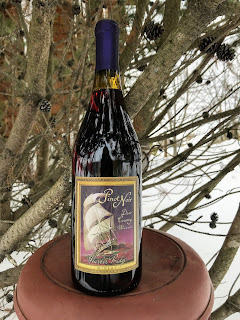 A light to medium bodied red wine, Pinot Noir is pale in color almost translucent with subtle flavors of spicy earth, black cherries, berries, and current. Pair it with grilled salmon, roast duck, pork loin, baked chicken or an earthy mushroom risotto. You will not be disappointed. California and Oregon are the major Pinot Noir growers in the United States. Oregon’s signature grape is Pinot Noir, gaining international accolades for their superior quality in both grapes and wine. Because Wisconsin is not at all suited for growing Pinot Noir, Harbor Ridge sources this fine fickle grape from the Columbia Gorge, an appellation shared with Oregon and Washington, to produce our Pinot Noir. 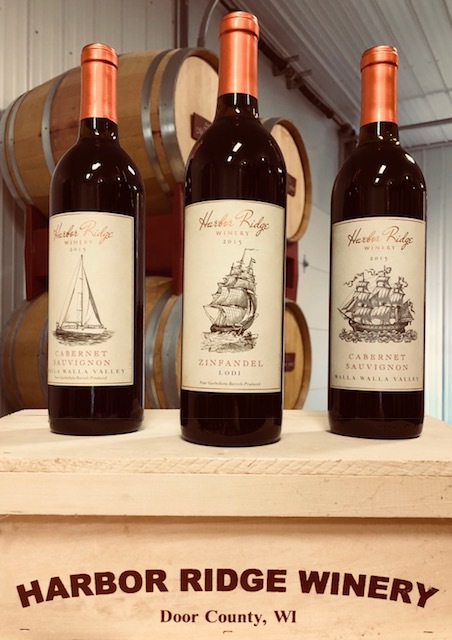 Launched in October of 2018, Harbor Ridge’s Pinot Noir is aged with French and American oak submerged in cool stainless-steel tanks for ten months. Characteristically light in color, our Pinot Noir is delicate, yet savory with flavors of black cherry and berries and an undercurrent of spice. Open a bottle, settle in and enjoy a glass. It’s so worth it. 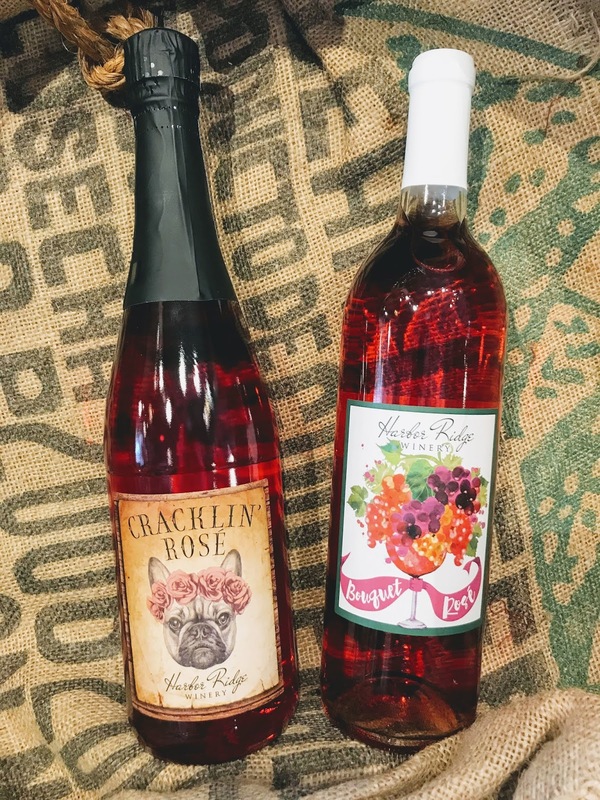 In recent years, Rose` wine has swelled in popularity across the nation. Everyone seems to have hopped on the Rose` Bandwagon. Truly, this is one wagon we want to get on! Here are some fun facts about the latest wine craze. The trendy pink drink is not all that new. Despite its current popularity, Rose` was first made by the ancient Greeks in 7000 BC. Rose` is a precursor to both red and white wine. 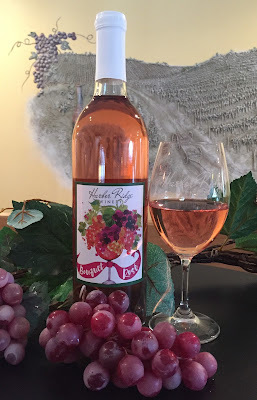 While Rose` can be made using several methods, the simplest explanation is that it is a wine made with only a portion of the color from its grape skins. Dark red grapes are crushed and left with the skins and juice to soak together for two to three days. The “must “, (skins and juice), is then pressed, after which the skins are removed as fermentation continues. The longer the skins remain with the juice, the darker the color of the final product. Rosé wines can be made using any red grape variety including the Marquette Grape grown in the Harbor Ridge Vineyard. Others are made with the addition of some white grapes. This blending introduces all sorts of additional flavors and aromas, making for an interesting and complex final product. 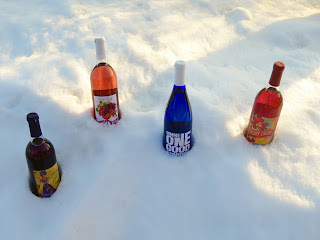 Rose` wines range from sweet to very dry and everything in between. The color spectrum includes shades of light pale pink, bright vibrant pink and every hue of pink in-between. Best served at a white wine temperature (45 degrees), Rose` wines should be consumed within 2-3 years. Known by the fashionable set as “Summer Water”, Rose` is a perfectly refreshing warm weather drink. When summer ends, drinking Rose` continues. Not just for poolside parties, this is an incredibly versatile food friendly wine. Pair it with tart goat cheeses, pastas, seafood, salads and spicy ethnic foods. 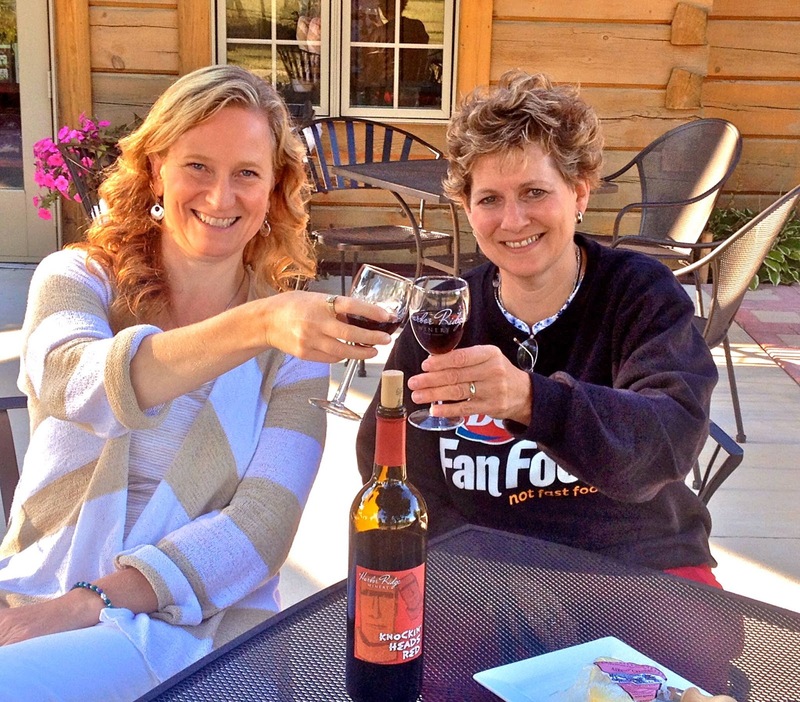 Enjoy this adaptable wine at summer barbeques, lady’s luncheons and Thanksgiving dinner. Harbor Ridge Winery has two Rose` offerings. Our semi-dry, Double Gold Medal Bouquet Rosé introduced in 2016 was aptly named. A blend of Marchel Foch, Sauvignon Blanc and Gewürztraminer, it abounds with floral and fruity aromas just like a lovely bouquet, then ends with a crisp, but smooth finish. New in 2019, our dry sparkling Cracklin’ Rose` is crafted with our 2018 estate grown Marquette Grapes. Effervescent and vivacious with flavors of strawberry and melon, HRW’s newest offering will remind you of warm summer days in Door County. Now that you are armed with information about our favorite pink drink, we hope you and your friends will see the world with Rose` in your glasses. New word of the month: Garbellotto pronounced “GAR BELL LOTTO”. Add an Italian accent and the word Garbellotto rolls right off your tongue. So too will our new premium wines, a Lodi Zinfandel and Walla Walla Cabernet Sauvignon , both aged in Old World Garbellotto oak barrels. Since 1775, Italian manufacturer, Garbellotto has been producing oak barrels, casks and vats for wine, spirits and beer, using only the highest quality timber from European forests in France, Slavonia and Germany. After aging the oak for a several years, Garbellotto Barrels are hand coopered with generations of expertise and skill. Each wine barrel undergoes toasting, which helps stabilize the wine’s tannins and enhance its natural flavors and aromas. We’re especially proud of our new Zinfandel, not only due to its special barrel but because its grapes come from Lodi, California. Known as the unofficial “Zinfandel Capitol of the World “, this area is rich with fine loamy soil and ”old vine " Zinfandel grapevines. In addition, its mild Mediterranean climate makes for ideal growing conditions, producing bold, spicy wines with fruity aromas and silky tannins. We’re equally proud of another new introduction, our Walla Walla Cabernet Sauvignon, aged in Garbellotto barrels, for 22 months. With its long summer days and short cool nights, Walla Walla, Washington is a winemaker’s dream. Although many rivers flow through this region, Walla Walla has very little rainfall. Grape growers thus have more control on the amount of water their vines receive. These factors combined with its mineral rich soil, consistently result in producing lush, full bodied Cabernet Sauvignon grapes. Oh but there is more…. To make things just a bit more interesting, we decided to split the production of Walla Walla Cabernet Sauvignon and Lodi Zinfandel. Half of this premium wine was aged in the Garbellotto Barrels and the other half in French- American Hybrid barrels. Taste both and compare the difference a barrel can make. We are thrilled to announce that both varietals aged in the Garbellotto barrels were recently entered into competition and won medals. 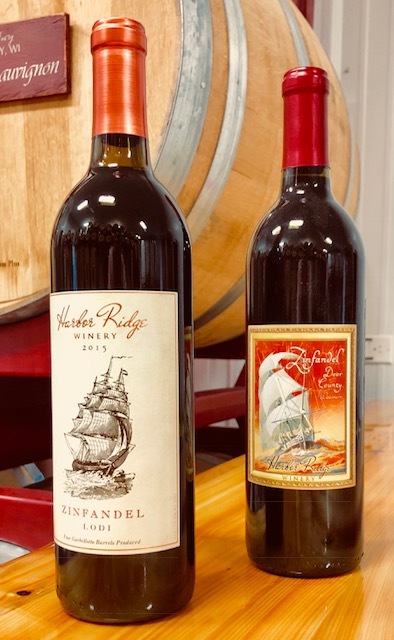 Lodi Zinfandel a Gold Medal, Walla Walla Cabernet Sauvignon a Silver Medal. We are excited for you to taste our luscious new premium reds, launching this Memorial Day weekend. Stop by and give them a try. Now that we’re well into 2018 some of us are still working on fulfilling our New Year’s resolutions, while others have already abandoned them. Our resolution is an easy one to keep. Drink more wine! So let’s make it count. 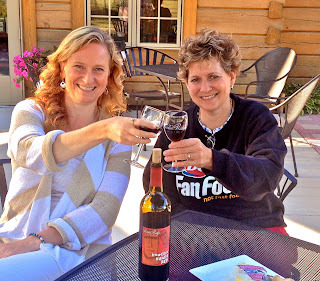 How can drinking wine culminate into an even more enjoyable experience? The perfect wine and food pairing is a start to greater enjoyment, but what about something that can alter your experience entirely? What about serving temperature? In researching this topic, we found that many wine experts believe most people drink their red wine a little too warm and white wine much too cold. Well, why should it really matter, and should it make that big of a difference? As it turns out, it does make a whole lot of difference because the temperature of the wine can influence how it smells and tastes. For example, HRW’s dry oak-aged Chardonnay is best appreciated around 55 degrees, where the light oak taste comes through without dominating the creamy vanilla and spice aromas. If it was served 10 degrees cooler, none of those subtle nuances would come through. At the same time, the lovely apple and pear aromas of our semi-dry Pinot Grigio, Three Wise Guys, really stand out when it is served at 45 degrees. The same goes for our semi-sweet Gimme One Good Riesling. If it was served any colder its mouthwatering crisp and fruity flavors would barely register on the tongue. In fact, if you are serving white wine that is already chilled you should first take it out of the refrigerator, (which is usually set at or below 40 degrees), for 15 minutes. As far as reds, a common misconception is that they must be served at a warm room temperature. It turns out that red wine aficionados prefer a little chill to their red wine, and suggest actually chilling red wine in the refrigerator 15 – 20 minutes before uncorking it. The lighter reds, (which are often blends, such as Knockin’ Heads Red or Crimes Against Vines), perform best when they are at the cooler end of the scale in the low 60’s. In fact, Crimes at 60 degrees will taste semi-sweet, but if chilled at 45 degrees it will taste quite sweet. To enjoy the rich lushness of Cabernets and Zinfandels, however, one should serve them at around 62 – 65 degrees. And, if possible, use an aerater, decanter, or even a wide mouth stemless glass to let these full-bodied reds breathe ahead of time. This gives them more exposure to air, which unleashes their aromas and softens tannins, improving their overall flavor. 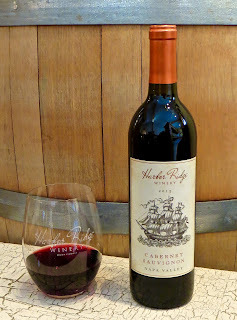 We recently introduced Harbor, a port-style wine, similar to a Ruby Port. While many of us have always sipped ports and other fortified wines at a warmer room temperature it turns out that wine experts recommend that it be served at a cooler 60 degrees. Skeptical? Try your favorite white and red at these different temperature spectrums and see what you think. Let us know what you discover, and above all, enjoy! 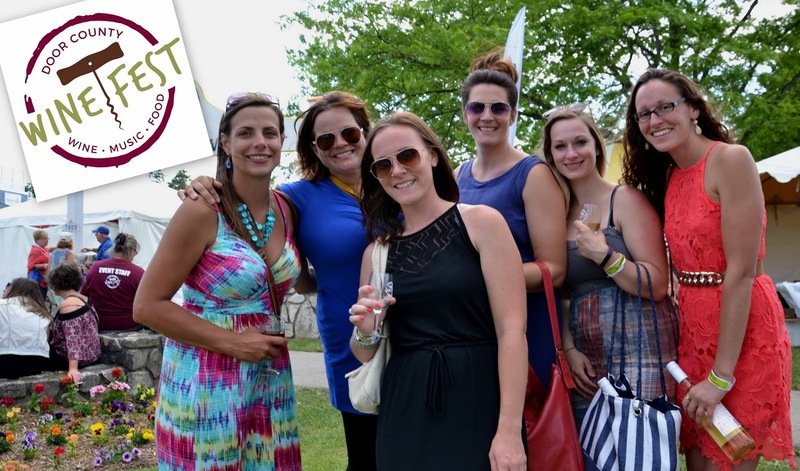 The Door County Wine Fest is back and better than ever! 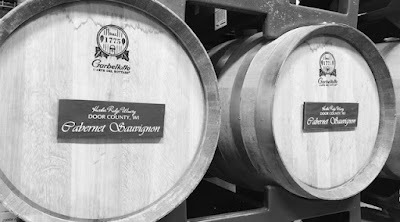 Wineries while sampling complimentary Wisconsin cheeses. After tasting the “grapeful” bounty, wander over to the wine bar where you can purchase a glass of your favorite wine. Have fun hanging out or shaking a tail feather to live music on the main stage. 12:45 pm - Ticket gates and apparel tent open. 12:45 pm - Bar area open with live music. 1:00 pm - Wine tasting tent open. 1:00 pm - Live music begins on main stage. 3:45 pm - Last call wine tasting tent. 4:00 pm - Wine tasting tent closed. 4:45 pm - Wine bar area & apparel tent closed. Win Two Free Tickets from HRW! Email your photos to: info@harborridgewinery.com Good Luck! 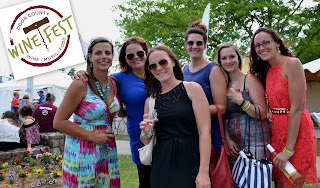 The first Door County Wine Fest was such a hit with wine lovers like you that you’ll be glad to know it has been officially made an annual event. Mark your calendars for 2017 and let’s make it a date! Purchase your tickets in advance and save $5.00 each. Come join us on the patio at HRW to get yourselves Wined Up! Sangria del Carmen will be flowing….cha cha cha! Wine available by the glass or bottle and beer too! Re-Wined the day after the Wine Fest at Harbor Ridge. For our Cabernet Sauvignon lovers, you’re in for a treat! Harbor Ridge will be uncorking our long-awaited 2013 Napa Cab in March, the first of our new Ultra-Premium line of wines. Only 201 cases have been produced, 15 of which will be placed in Reserve. 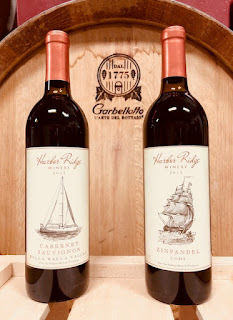 2013 was an excellent year for Cabernet Sauvignon grapes in California’s Napa Valley and once you taste our new Ultra-premium Cabernet Sauvignon, you’ll surely agree. Aged to perfection for 30 months in our French Hybrid oak barrels, it delights the senses with subtle spice and toasted vanilla aromas. Ripe elderberries and dark stone fruit flavors swirl along with silky tannins, leading to a smooth and satisfying finish. What better way to usher in Spring! Like a fragrant bouquet of flowers, this new semi-dry blend of Marechal Foch, Sauvignon Blanc and Gewurztraminer will tantalize your tastebuds from the first fruity sip to its clean finish. A new favorite, the Crew at Harbor Ridge Winery gives this one two thumbs up!